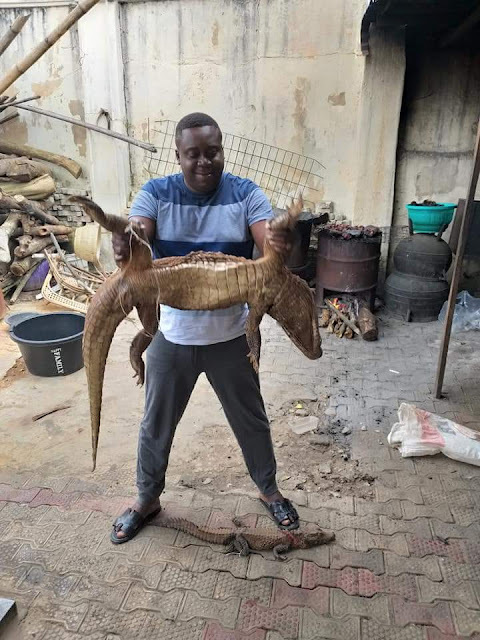 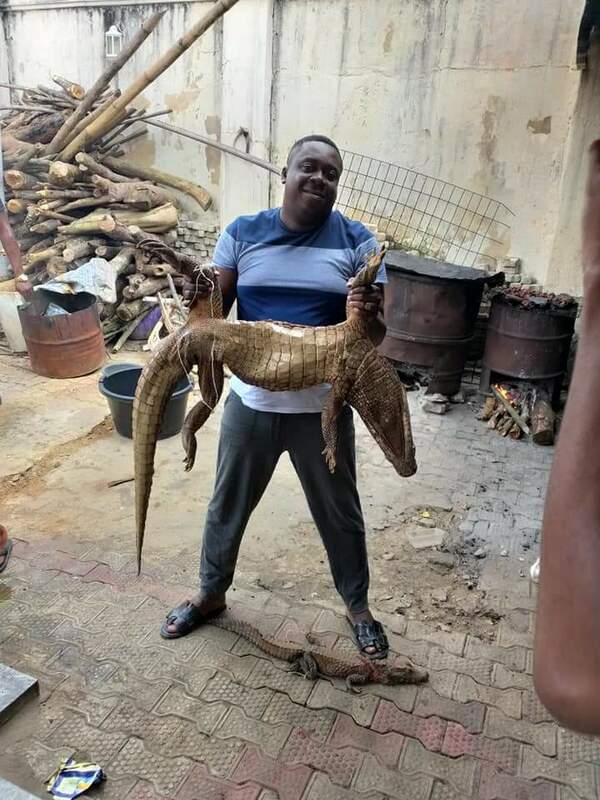 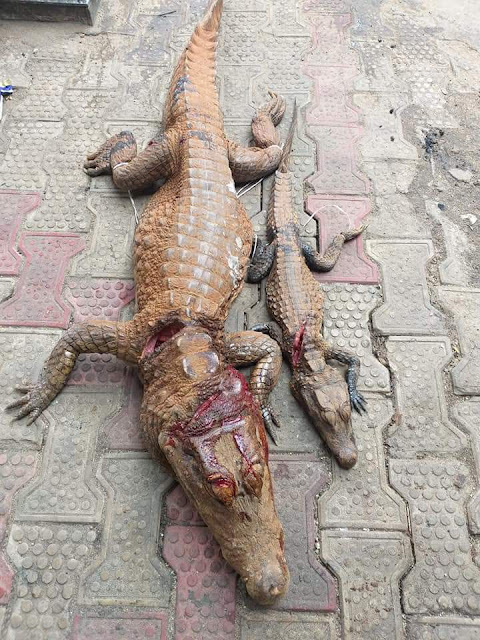 Pictured above is an Owerri Man who specializes in killing crocodiles for sweet meats preparation in his bar named "Old English Bar" in owerri, Nigeria where crocodile and various kinds of bush meats are being sold and served with fresh Oba palm wine and traditional soups like Nsala,Ora,Onugbu (Bitter leave soup). 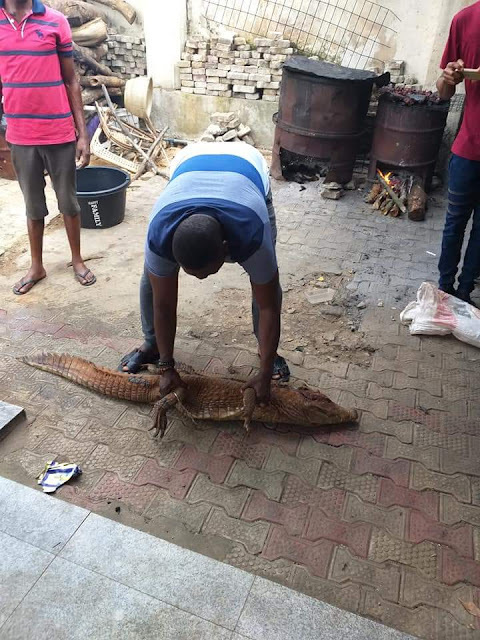 The pictures are so real, no Photoshop, no editing. Or Do you still Wana ask " isn’t that crocodile??" Yes it is!! 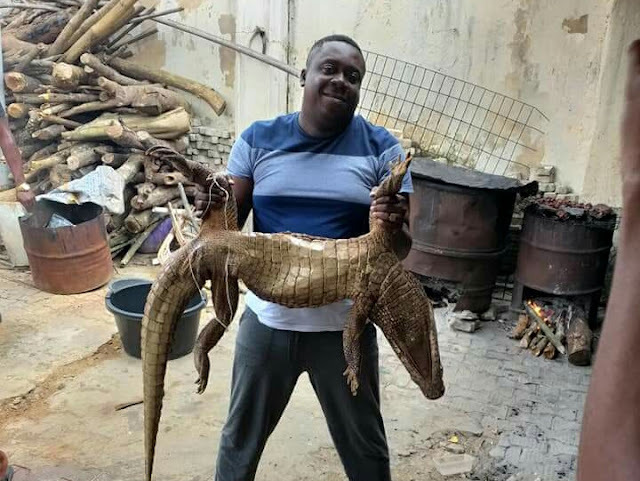 One of the Best wildlife species that is rich in protein. It is nutritionally rich, tastes like a cross between chicken and crab grub.